Martin Parr’s first solo exhibition in Hong Kong is a diverse showcase of the work of Parr who is famous for his satirical and humourous social documentary on modern life. The exhibition spotlights select works from his recent Hong Kong project (2013) commissioned by Blindspot Gallery, alongside selections from two of his iconic past series, his first work in colour The Last Resort (1983 to 1985) and Luxury (1995 to present). 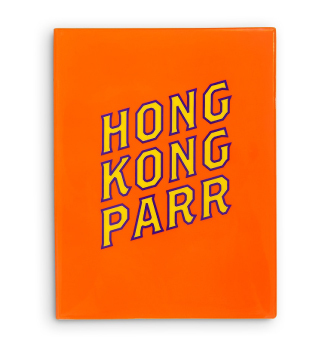 An art book titled Hong Kong Parr was launched at the opening with book signing. In collaboration with the Hong Kong International Photo Festival (HKIPF), a public talk on Parr’s work was held on 7 September at Hong Kong Central Library. In the talk, Parr discussed his long career in photography and explained how both the world of photography and his practice have changed. Blindspot Gallery would like to acknowledge Project Producer Ezra Emerson, Shooting Assistants Phil Shek and Paul Yeung for the Hong Kong project.